WISP is a highly comfortable, minimalistic designed Nasal CPAP brought to you by Philips Respironics. 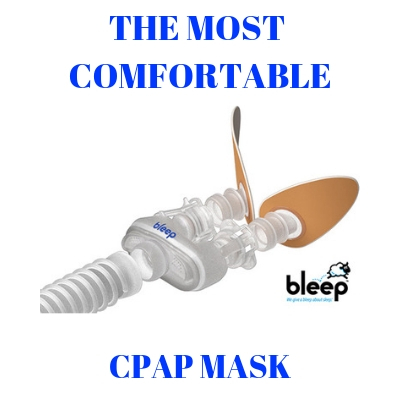 The device is similar to a regular mask with nasal pillows, but WISP features a more compact mask which covers the entire nose to achieve a high standard seal, comfort and fit. The mask is available with two frame options: one clear silicone frame that makes the mask extremely minimalistic in design and one ultra-soft fabric frame for a soft and comfortable touch. Patients can now find their best fit thanks to the 3 different sized cushions within the packaging. Simply try each cushion to see which provides the best seal and comfort during required therapy. The minimalistic cushion design will also ensure limited contact with the skin, so there will be no pressure points, wrinkles or redness on the face. Thanks to the ingenious design of the headgear, there is absolutely no need for a forehead support, like other similar masks have. 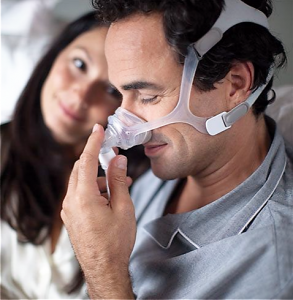 The WISP Nasal CPAP Mask with Headgear is manufactured using the highest quality materials available. The clear frame is made of a combination of silicone and polyurethane, while the fabric frame is made of Nylon, Lycra and Urethane foam. The molded silicone frame is very flexible and lightweight, ensuring comfortable wear even for the most restless sleepers. The frame has an entirely smooth surface, but if you would like a much softer touch you could choose the fabric frame. The high-quality silicone cushion is also lightweight and small, with the silicone part touching the face in a limited manner. You can select between Small, Medium and Large sized cushions, whichever suits you best. For patients with small facial features, the manufacturer recommends the Petite silicone cushion for WISP by Philips Respironics. Thanks to its minimalistic design, the WISP mask ensures an open field of vision, without any obstructions. Wearing the mask is not only extremely comfortable, but it also allows for a clear view. You can now comfortably watch TV, read, write or perform any task and the mask will not obstruct your vision in any way. The WISP mask comes with a flexible and short tubing system that will connect to the swivel elbow. The short tubing system is basically a connective accessory between the silicone cushion and the longer hose system. Therefore, patients can now move freely, without compromising the mask seal. Whenever you need to clean the tubing, simply disconnect it from the elbow swivel and rinse it with lukewarm water and a warm detergent, then allowing it to air dry. Superior seal, minimally invasive design, stylish frame, maximum comfort…are only a few of the features that speak in favor of choosing WISP. The mask ensures a truly restful night of sleep thanks to its comfortable and soft parts. Patients can now enjoy a better quality of sleep which also means a better quality of life. 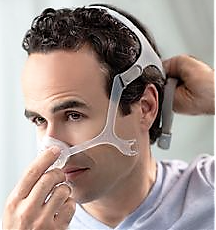 You do not have to worry about uncomfortable nasal prongs, or bulky forehead frames. Even more so, you can now move freely while still maintain that perfect seal thanks to the short and flexible connective tubing system. 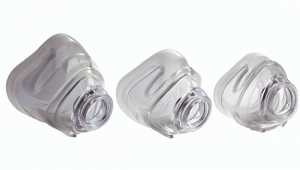 According to the manufacturer, the compact design of the mask will fit more than 98% of the patients. The mask is also attractive and modern through is simplicity; you only need to select the type of frame that would mostly fit your personal style. Improved ease of use with the magnetic clips- the magnetic headgear clip can be used instead of the regular headgear clip. These clips are very helpful in the case of patients with limited dexterity. Outstanding seal yet minimal contact with the face. The mask provides an exceptional seal, while there is very little contact with facial pressure points. The auto-seal groove ensures high quality, non-leaking sleep therapy. WISP is simple to clean and maintain. With only a few parts, patients can very easily and quickly disassemble the mask and clean the accessories. You will never have to over-tighten the mask in order to achieve a good seal. Once you will loosen the straps of the mask, the silicone cushion will inflate with air. Thus, the cushion inflates up until it provides you with the most comfortable seal for required therapy. The soft touch fabric frame is reversible. Choose a cooler soft touch with silky sateen or a warmer touch of soft suedette. The fabric frames feel very nice and soft to the touch and they are extremely flexible, having a more natural feel than rigid plastic frames. The frame is also perfect for patients who sleep on their side, offering them a nicer, cozier feeling of their pillow. The frame does not create any pressure points on the face, which means patients will wake up refreshed and wrinkle/irritation free in the morning. — your cpap units provide oxygen therapy? You may want to revisit your wording. 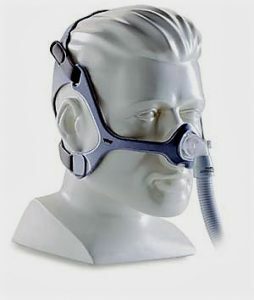 You need a concentrator T’d in to provide oxygen therapy in addition to pressure therapy through CPAP. What a difference a word makes. The word “Oxygen” should have been “Sleep” and we have changed it. Thanks for paying attention. You caught us with our pants down.